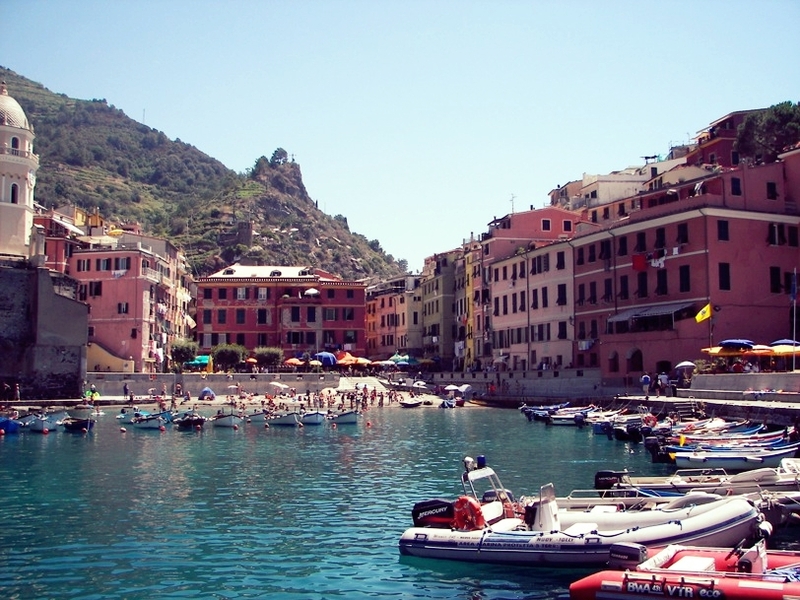 Located on the Ligurian coast about 75 minutes away, the Cinque Terre are five small seaside towns nestled into the mountains. Prior to the 1960s when a train tunnel was built into the hillside, there was no contact with the outside world except by boat. Reachable now by train, boat and road, these gorgeous towns are worth the visit. Spectacular views of each town are available from the small boats that make trips between each port or you can hike between each town on the small paths that wind through the vineyards above each community. The local wines are available in the Cinque Terre restaurants and wine bars and were praised both in present and by Dante, Boccaccio, and Petrarch. There is a ferry that runs daily from Viargeggio (15 minutes away) to the Cinque Terre and makes for a pleasant day trip. Once there, you can choose to hike on steep paths between the villages, take the water shuttle, or use the train which runs frequently.